Loop Drive 2: Crash Race from GameGuru takes a very basic concept and turns it over its head: take the figure 8 race track, interlock it, and have your car race there while trying to avoid other vehicles. It’s a recipe for lots of car crashes but it’s still a heck of a ride and will have you coming back for more. Loop Drive 2: Crash Race has a figure 8 race track, and when the game starts the drivers will be on either side. To compete – and survive – you have to navigate the circuit without hitting the other driver. That’s not going to be easy, and it doesn’t help your car’s brakes are a little faulty. If you’re playing the Windows mobile version, the controls are at the screen’s bottom corner, with the brake at the left and accelerate on the right. Using these controls you’ll need to drive as many laps as possible without crashing. The game starts slowly, giving you enough time to get used to the gameplay. As the game progresses, the cars start to move faster and you’ll need to be quick. Timing is essential, and it’s more important to learn how to navigate than to try and speed your way around the circuit. There will also be night races, and that adds another layer of challenge to the circuit. 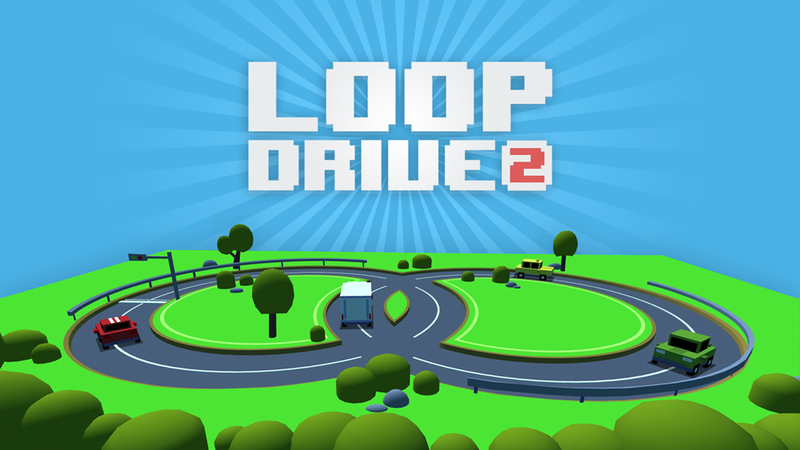 But Loop Drive 2 is addictive, and the more laps you complete the more coins you can collect to unlock new vehicles. Moreover, the gameplay is not complicated and easy enough to get into.